The Myprotein Men’s Performance Raglan Sleeve T-Shirt is the ultimate go-to tee for any workout. 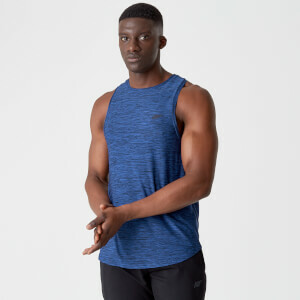 Crafted from a blend of Polyester, Elastic and Spandex this performance enhancing, functional T-shirt is designed to keep you cool and dry during any workouts. The Raglan sleeve enables full range of movement by not restricting the shoulders whilst the loose fit design allows for a comfortable fit. Fabric Composition – 48% Cotton 48% Polyester 4% Lycra. Ok, so you're bulking. Your arms chest are looking massive, and your back looks thick. You wan't to show off your massive gains but not the power belly that came with it. This is the t-shirt for you! Makes you look huge. I ordered two more! Premium feel t shirt. Athletic fit across the chest, shoulders, arms and back with a bit of give around the abs. I am normally a medium sized top, or large if it is a tight fit. The medium was ridiculously tight. I could actually feel it digging into my armpits and causing me extreme pain. I returned the top and ordered a large, all the while hoping that it would fit better as it is a very nice top. When I received the large, found the exact same result. No point in trying an XL as it would be like a parachute at the waist. Delivered yesterday, worn today. 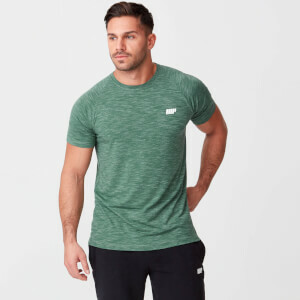 I absolutely loved this shirt, from the way it feels like a premium shirt not just a cotton one To the way it looks and the nice form fitting factor, was looking into getting the nikey Dri-fit knit tops that are very similar but over triple the price! You will look awesome in the gym with this shirt on or even just hanging out. Would definitely recommend anyone who's looking a great buy! It doesn't taste good though. The Raglan t shirt I bought is brilliant for both the gym and running. The wicking properties are great but the fit and fell even better. A really nice training shirt, the material is very nice on and it looks well made. I am 6ft 86kg and have the large, the arms and shoulders are a bit tight but will probably loosen with a few washes but i would probably go xl next time.